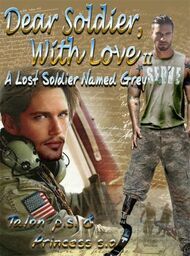 Chief Warrant Officer V Grey Lawrence never once stopped to consider what he was doing or why, just being there for Nathan Blaise, a Senior Technician of Explosives Ordinance Disposal, who'd just lost his leg from a mission gone wrong, seemed to be the right thing to do. And somehow Grey found some renewing comfort of his own when he was with him. Except, Nathan will be transferring home back to the state-side of the world soon, and Grey still had the war's never ending wounded to deal with here. Reasons only a past Dear John letter and the restored heart he found when he read the touching words written by an anonymous woman, the soldiers had penned 'the Beloved Woman' could explain. Perhaps those two things plus the half of a wounded man who could heal Grey's own dark half would deliver him to a future he never imagined or expected for himself again.